Terrain started as a private gym in Bellingham, Washington. We provide programming and professional coaching for people with all kinds of athletic pursuits. The athletes who train with us come from all backgrounds and abilities. From elite trail runners and mountain bikers to professionals (fire fighters, law enforcement), to weekend warriors that want and expect more. Your performance outside is what matters. Everything we ask you to do has a purpose. Every focus has attributes that are primary and assessed at the start. From there, we outline training volume and intensity. This allows us the ability to measure progress. The average cycle lasts 3-6 weeks but can last up to 12 weeks (sport specific cycles). Reassessments are done half way and / or at the cycles completion. Recovery methods and programming are prescribed and done between each cycle. On average this period lasts one week. The exercises used are ones that deliver a high return without having to acquire too many technical skills. We want you to get the most out of your session. Keeping things simple allows for each athlete to train heavier, go harder and fit more in. As a result, improvements are quickly noticed & the transfer to outdoor activities is appreciated. While we recognize feedback as an important part of coaching, we will not yell, cheer or say something unless there is something specific or constructive to come from it. Redundant speech is not a part of effective coaching. Tonia started working in the fitness industry in 1996. 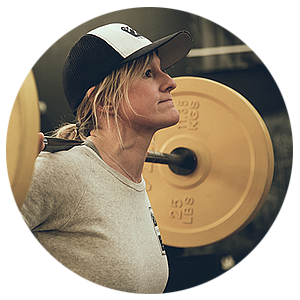 She has attended numerous seminars / certifications through Mountain Athlete, Mountain Tactical Institute, Catalyst Athletics, CrossFit, USA Gymnastics National Congress, Primal BluePrint, Precision Nutrition and 8-weeks out Conditioning. She founded Terrain in 2007. Jeff's strength training began with early athletic pursuits in soccer and alpine ski racing. Jeff holds certifications from the National Ski Patrol and Washington Department of Health. Jeff now works in Whatcom County as a professional Firefighter EMT, volunteering his time with the Mount Baker Ski Patrol in the winter time. Jeff is a proud husband to wife Erinn and father to children Bennett and Violet. From playing goalkeeper as a collegiate level soccer athlete to backcountry skiing and biking in the mountains, Lindsay has always prioritized fitness in her life. Her passion for sports and an active lifestyle has led her to the athletic industry, starting with her current certification through the American Council of Exercise (ACE). While in the United States Air Force Craig traveled all over the globe including a three year stay in Europe and two combat deployments to Eastern Afghanistan. He is a PADI Divemaster and student at WCC. His love for fitness has been applied to the outdoors over the years. He also enjoys many aspects of photography. 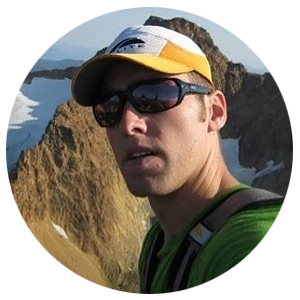 Stephen grew up in Central Washington, exploring the Cascades year round, skiing, climbing, and mountain biking. He attended Montana State University in Bozeman, intending to ski race, but pretty quickly chose to instead focus on cycling, and quickly developed into one of the most promising young riders in the World. After graduating University in 2011, he signed his first professional contract with BMC Racing, and transplanted to Switzerland, to live with and compete against the best Mountain Bikers in the World. He narrowly missed the Olympic Team in 2012, his lack of experience as an elite rider being cited as the reason behind taking a different athlete. He spent the following three years splitting his time between Bozeman and a European base in Freiburg, Germany. He won National Championships in 2013 and 2014, among other impressive international wins, and established himself as America's top rider. Seeking better training grounds, and with a desire to be back in the PNW, Stephen relocated to Bellingham in the winter of 2015, and immediately fell in love with the trails, and community. The move seemed to pay off, with Stephen coming into the 2016 flying, winning his first set of races in California, landing on the podium at Pan American Championships and finishing inside the top twenty in the Spring World Cups. Despite all the success he experienced in the intervening four years and being the top ranked American rider, he was again left off the Olympic team in 2016, but despite that disappointment, he’ll continue racing and will take the opportunity to pursue a new chapter, continuing to be highlighted by some of the biggest events in the World. Growing up in the outdoors hub of Jackson Hole, WY, Emily caught the adventure bug early. She traded her diapers for a pair of skis, and at 14 came over to the dark side of dirt and rock. On a powder day, you can find her deep in the woods buried under blower pow, or on a rainy day, shredding the PNW loam on her mountain bike. From the Rocky Mountains to the Southwest to the Pacific Northwest, Emily has enjoyed skis, boards, boats and bikes of all shapes and sizes. 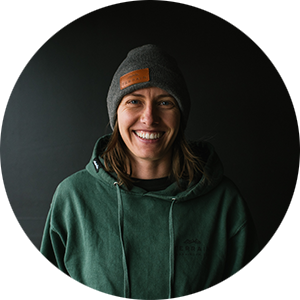 In 2015, Emily began training at Terrain in anticipation of a stout season as a pro in the Cascadia Dirt Cup and BC Enduro series and has made enormous gains in strength, balance and endurance as a result. 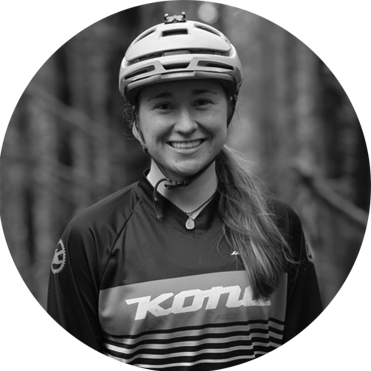 With the help of Terrain, Emily looks forward to being the first female mountain biker to shred Mars in 2016. 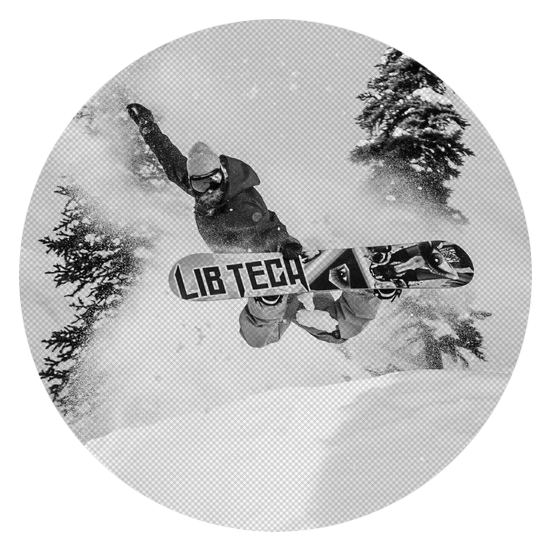 The beard-cultivating Californian was one of the riders snapped up by adidas when the überbrand entered snowboarding in 2013. By then he’d put a couple of bad, injury-plagued winters behind him and emerged as one of the finest riders around. Like his big bro, he’s pushing the boundaries of backcountry freestyle – whether it’s a cheese wedge or a pillow line, he kills it – and his beard’s transformation into the famous ‘powdered doughnut’ is always a joy to watch. Terrain helps him stay strong and injury free so him and his beard can flourish. Nothing is random, our programming and exercises are all planned and have a purpose / goal in mind. We do the research so you can train confidently, safely and expect results. The gym is not our sport so the numbers don’t matter much. While we do assess often and use gym numbers they are not of primary importance. How you are performing OUTSIDE the gym is what matters. Why do you emphasize durability in your program? We want you healthy and moving well to keep you playing and / or competing in your sport for as long as possible. To do this we look to Grey Cook, Mike Boyle, Kelly Starrett and Mark Verstegen to name a few. How we implement and choose durability exercises is constantly evolving so that we continue to extend your athletic career. If something isn’t working we are ready and willing to change it. Some of our focus’ will mirror Mountain Athletes, others are from our own design. BOTH are tested on athletes prior to being implemented in our group sessions. Safety, quality, & improved fitness are all outcomes of this method. Why do you only program 4 days a week? We believe that 4 days a week in the gym is enough. We are not training you to be the best gym rat. You need to get outdoors, do your sport, or if you don’t have one, play!!! If you need suggestions we are happy to help. What if I can’t train 4x a week? Everyone has different goals and needs. How often you attend depends on yours. We assess where you are and give you recommendations based on where you want to be. Attendance recommendations are also based on seasons if you have a primary sport. I can’t come 4x per week, is it still worth it? Absolutely. We will still have you do the sessions in order as programmed. Yes. 99% of the time we can program around your injury. I’m a woman and want to keep looking like one - will I get BIG? No. Our programming is designed to get you leaner and stronger. What are your recommendations regarding nutrition? • Vegetables are necessary - everyday. What do you recommend for blood analysis and testing? Anyone who is looking for feedback on their current fitness and lifestyle habits can now get an an depth blood analysis done by our new partners Wellness FX. Visit Wellness FX to find out how anyone from the professional athlete to the everyday individual can get a personalized blood test to help them know if their training and diet is on point. Are you familiar with metabolic and cardio testing equipment? Yes, we incorporate VO2 and RMR testing upon request. Visit Korr Solutions to learn more or give us a call or email regarding cost and other information.